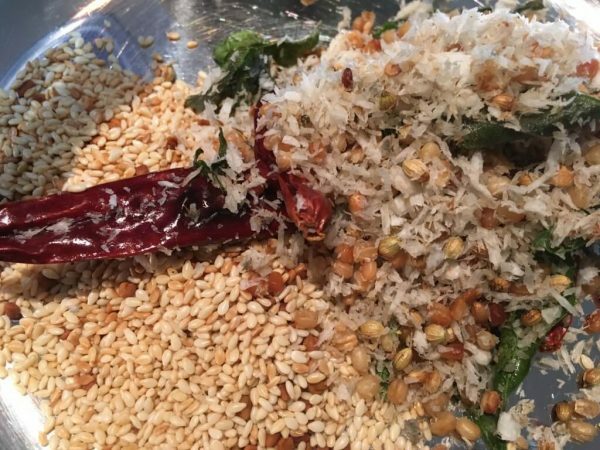 This recipe was taught to me by my husband's cousin, Indu, who is a fabulous cook. The title "pagarkai gojju" means Bittergourd Gravy. 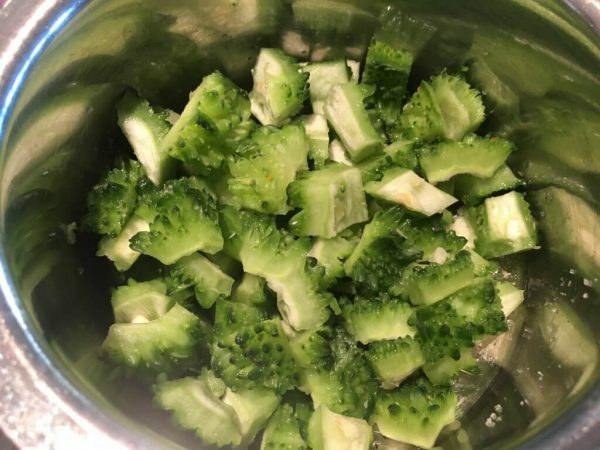 Bitter gourd, or as its sometimes called, bitter melon, is a green vegetable that is very bitter and is used extensively in Indian cuisine. 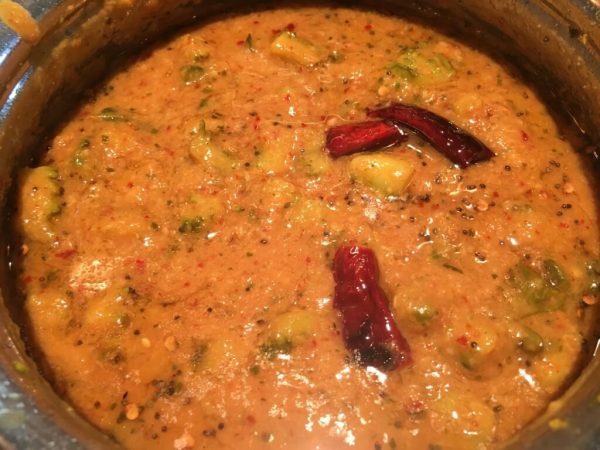 Gojju is a Kannada term for a spiced gravy that typically incorporates sour, pungent, heat, and sweet tastes. Add to it the bitter taste of the gourd, and this dish truly tickles every inch of the palate. 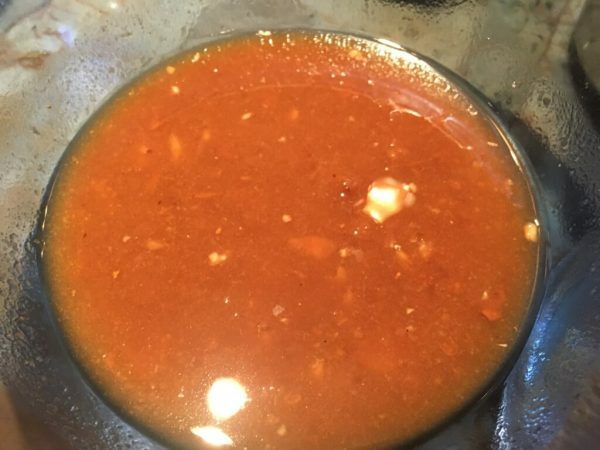 The sourness comes from the tamarind, the heat from the red chilies, and the sweet comes from jaggery/gud/vellam/brown sugar or raw, unrefined sugar. 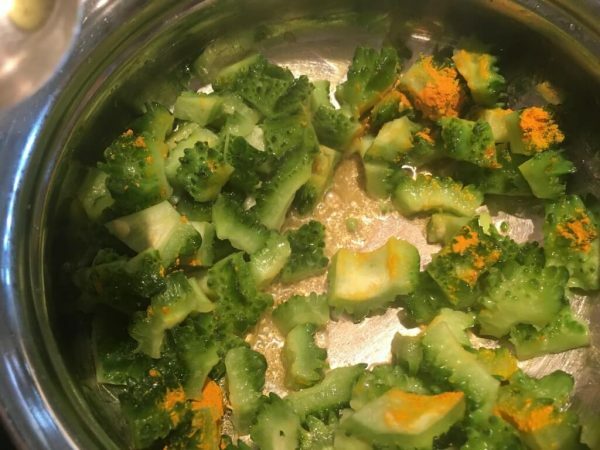 This dish is my husband's favorite and is a real adventure in your mouth. On to the recipe now. 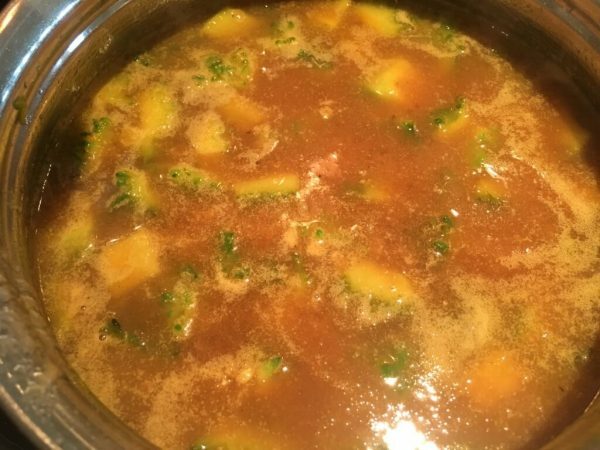 When the vegetable + tamarind mix has boiled enough, reduce the heat, and add the powder. The mix will start to bubble a bit now and tends to splatter (hence heat should be low). 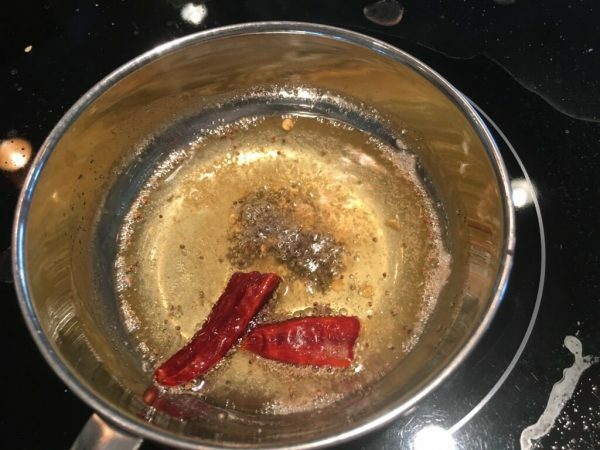 Gently incorporate the powder into the gravy, breaking up any lumps that form. 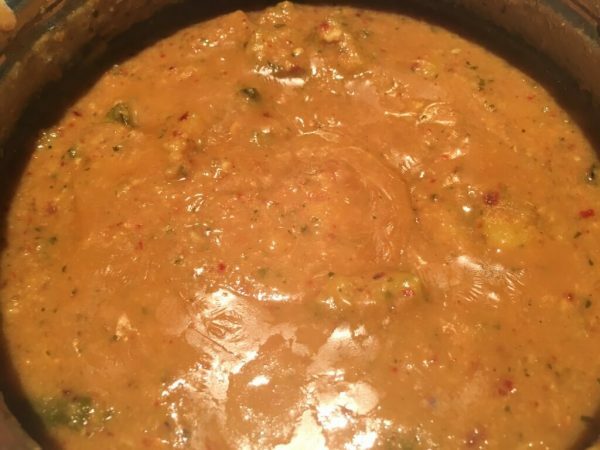 Pour the hot seasoning over the gravy; enjoy with hot rice, with a side of kootu. 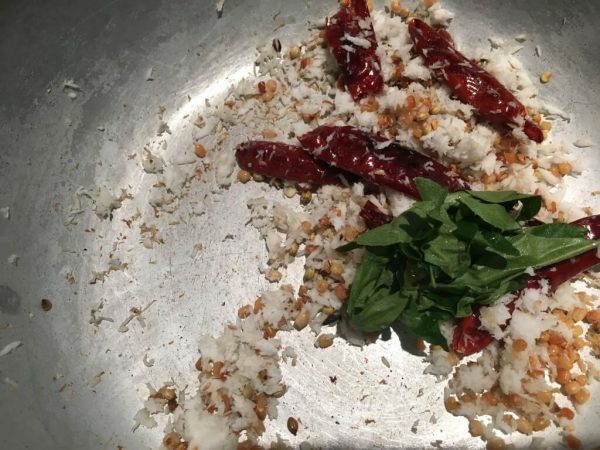 This dish is truly a genius of south Indian cooking - balancing the flavors of a very bitter vegetable without hiding it, but completing it with the sour, sweet and pungent tastes of tamarind, jaggery and chilies. 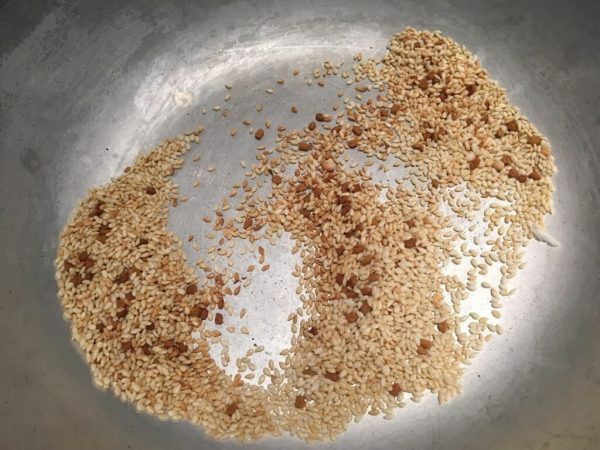 It's an excellent side for white or brown rice. To make a complete meal, add a dal/kootu (dal with vegetables, cooked with mild spices). 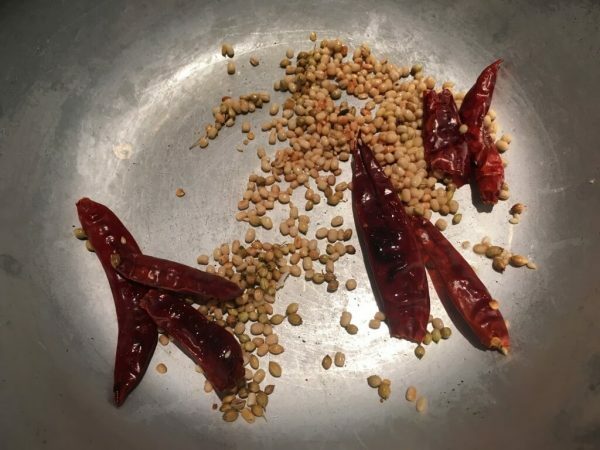 In my younger days, I could not stand any sweet added to sour or spicy dishes - I was a true Tamilian that way - no in between or mixed flavors/tastes for my Tamilian tongue. It had to be all hot or all sweet. 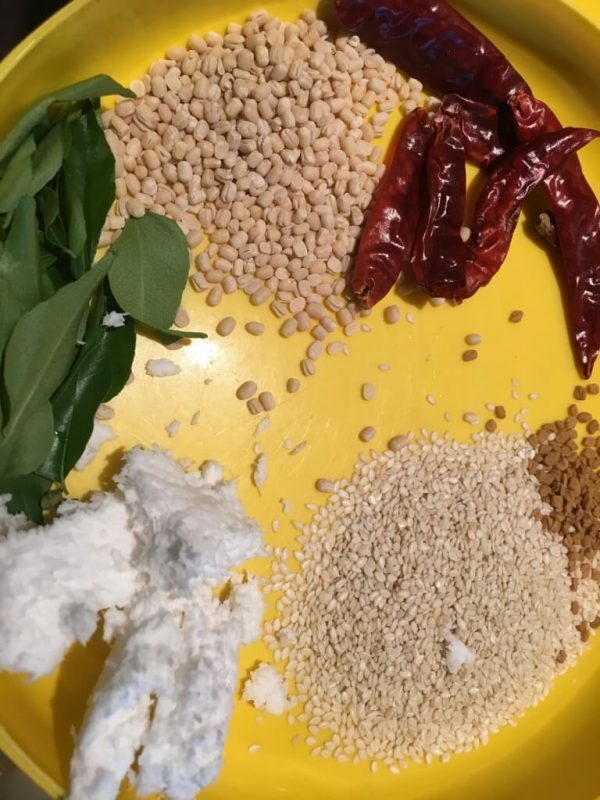 We used to make fun of our Kannadiga neighbors (as in state Karnataka, which is a neighboring state to Tamil Nadu) for making a sour dish sweet. But the adult me has matured enough to appreciate the mixed flavors - not everything has to be completely spicy or completely sweet. I now put salt on my fruits, which would have been unthinkable for the younger Sri!!! Gojju is a Kannada term, spoken in Karnataka, one of the four states that make up south India. I understand it means gravy with spices, correct me if that's wrong, my Kannada friends! My husband's cousin, Indu, who grew up in Bengaluru, Karnataka and makes many such wonderful Kannada recipes.